In 1855 Paris was expecting a great number of visitors for the first Universal Exhibition to be held in Paris. All the shops were getting prepared for such a big event: some stores were enlarged and embellished. 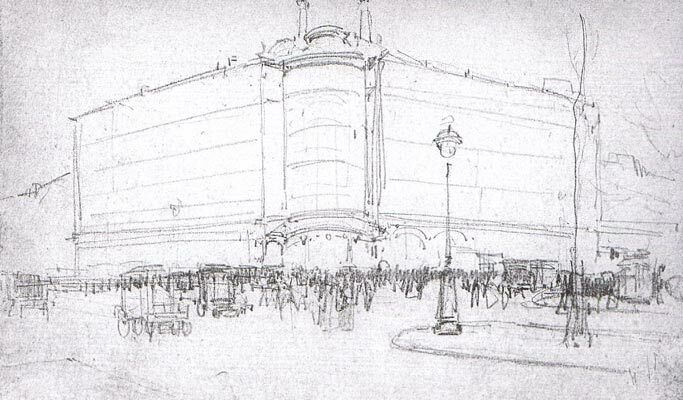 But the most important event was the creation of a department store presenting novelties in the commercial area of the Grand Hôtel du Louvre. 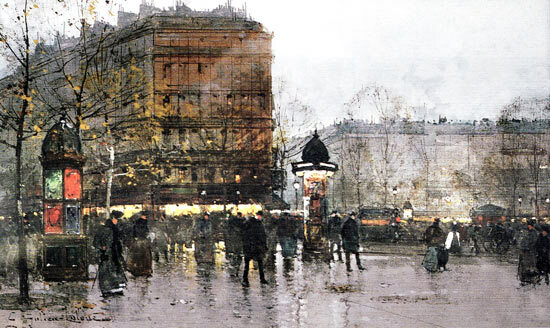 « The boutiques in Paris are witnesses, unknown friends; they are also the flowered hedges and the markers along the road. How sparkling is the light of their windows. How soft and delicate are the items for sale set on little velvet-covered steps. How fresh is the air. A feeling of melancholy – coming from nowhere in particular – is tucked into the most distant corners of shop-windows.